In utilizing email marketing for your plumbing company, there are few things you can do to ensure your sales skyrocket. Here are some tips, put together by the Contractor 20/20 team, that can help you make the most of this marketing avenue. The most important thing in email marketing is catering to your customer’s needs. This may include needs that they didn’t even know they had. 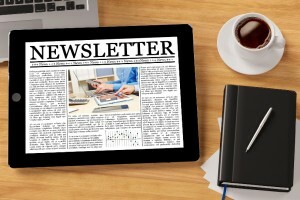 When writing the email or newsletter, bring up topics like plumbing check ups and clogged drains. In writing about these potential issues, you’re signaling the customer that he or she needs to have service done. By having service completed regularly, you can remind the customer that that will save money down the line, should an emergency happen. In essence, you’re addressing the need while saving them money. In that same vein, write about the needs of the customer’s home. Not only is proper plumbing functionality important for them and their users, but it’s also important for preventing water damage to the home. Again, reminding the customer of this need for maintenance checks will keep them from having major emergency costs down the line. When using email, the possibilities are almost endless. You can use text and images to convey your messages; and with specific visuals that make sense for what you’re writing about, you can make a bolder and more powerful statement. Think about it this way, a picture of a flooded basement makes a paragraph about water damage have so much more of an impact. By including relevant images alongside your text, you’re appealing to every kind of reader and/or future customer. Using email marketing for your plumbing company can take you leaps and bounds beyond your competitors. You can reach more readers by proving the necessity of the services you provide and using images to help convey that message. For more information on how to maximize the power of this crucial marketing tool, let Contractor 20/20 help. (607) 770-8933.